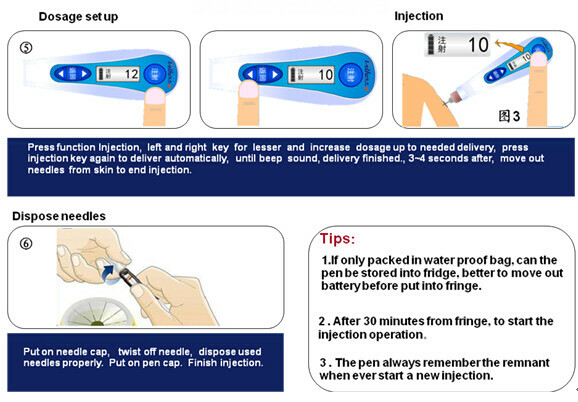 Delfu smart insulin pen with memeory and timing function offers intellegent menagerial injection for patients. 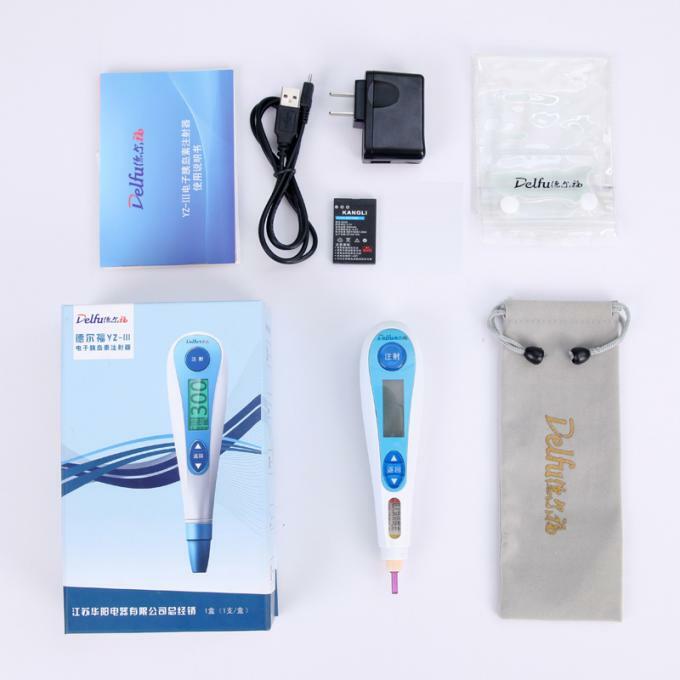 Greatly reduces injection movements and forces to alleviate the agony otherwise experienced by patients. Used for 3 ml (300u) standard prefilled cartridge applied reusable pen injections, offers consistent, accurate and convenient dosage delivery. 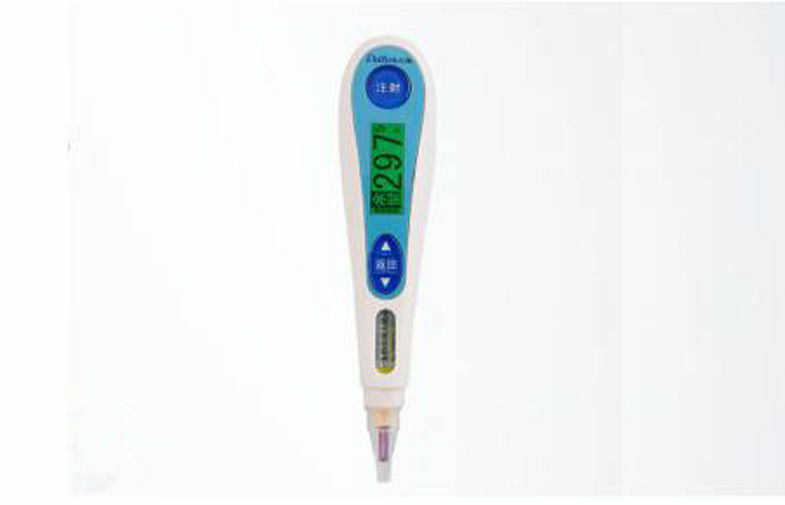 A maximum of 60 units with 0.1 unit increments dosing setting from 1-60u. Records the dosage and time automatically, easy to track and manage previous injection information for flexible life. 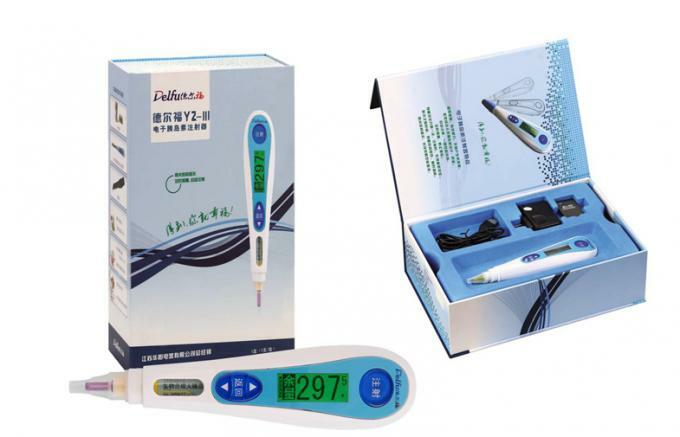 Innovative and patented technologies provide user friendly injection experience for customiztion and manufacturing. Timing reminding function helps users to set up 5 injection times with different dosage each day and reminds users by timely music playing. Records dosage and time of last 42 injections for users to track previous information in order to manage injections properly. This information also can be read and saved to computers. 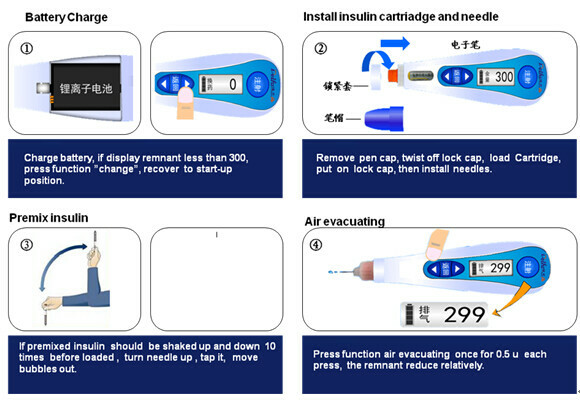 Most advanced injection devices for insulin and other multidose therapies compared with disposable syringe and manual injection pen.